Does that photo of Belize above make you dream of summer days at the beach? Well that’s not summer in Placencia. It’s how things look right now, and all through what’s winter in North America. The weather outside is frightful in some parts of the USA and Canada as we welcome the first day of winter. It’s about to get blustery up north and people are pulling out the heavy jackets and gloves. This is the time most travel sites start to see their traffic pick up as those same people start entertaining the idea of an escape from the cold. At first it’s kind of nice, the pretty snow on the trees, the wardrobe you haven’t worn for a while. But by the fourth or fifth time you’re shoveling the snow and digging your car out, you’re not singing “Let it Snow” anymore. There are some destinations we cover that see big temperature swings throughout the year, but in much of Central America it’s either dry or rainy. The air temperature and water temperature stay relatively constant. So if you want to shed the layers and dive in clear blue water, keep flying past Florida and land somewhere like Belize. Above is the national weather forecast for the holidays in the USA. 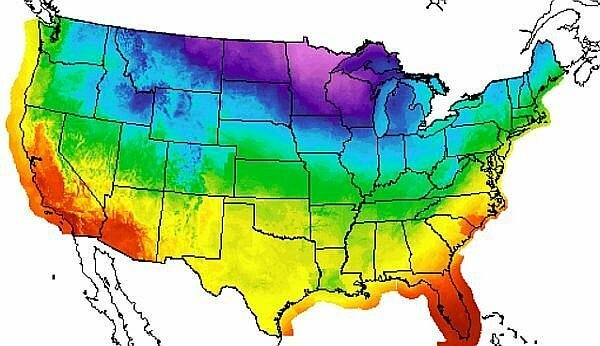 It’s still pretty balmy in the south and mild in the middle, but blue on that map is freezing (below 0 Celcius) and some of the purple parts are going to be below zero Fahrenheit. 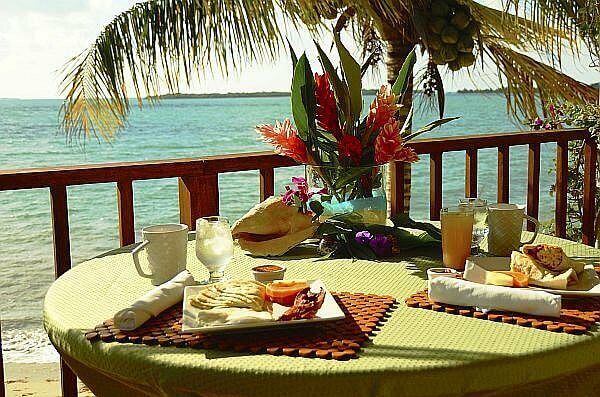 Here’s what it looks like when you step out of your airport transfer at Chabil Mar Villas in Placencia, Belize and sit down for lunch. You’ll experience highs in the 80s, lows in the 70s, and you can sit outside when a waiter is bringing you fruity cocktails or your seafood dinner. You might even need to turn on the air conditioning at some point. You won’t have to “get used to” the ocean water here. It’s the warm Caribbean and the temperature hardly drops at all in January and February. You can still go snorkeling comfortably with just a bathing suit on the world’s second-longest reef. Belize has a higher frequency of flights in the winter vacation period, including on Westjet and Southwest. Then within this country the size of New Hampshire, the two domestic airlines are practically air buses, touching down often at multiple points that are only 15-20 minutes apart. This is the one English-speaking country in Central America as well (it received its independence from Great Britain in 1981). So you’ll never have a communication issue when you’re trying to get a problem taken care of or you want to line up a special experience. 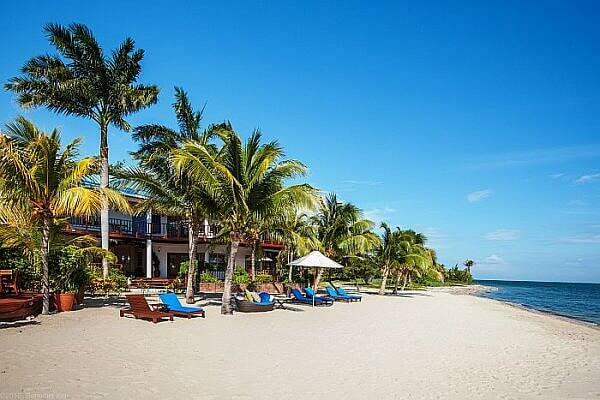 See our luxury travels in Belize section for more info on this attractive country and our friends at Chabil Mar have a spot on the country’s best mainland beach waiting for you. See their Belize vacation packages and specials for some fun adventures on and off the water.